Check out this 2010 Honda CR-V EX-L before it's too late! * Visit Us Today *A short visit to Gloucester Toyota located at 6357 George Washington Highway, Gloucester, VA 23061 can get you a reliable CR-V today! Boasts 40 Highway MPG and 44 City MPG! KBB.com Best Resale Value Awards. This Toyota Prius v has a trusty Gas/Electric I-4 1.8 L/110 engine powering this Variable transmission. * See What the Experts Say! *As reported by Edmunds: Outstanding fuel economy; roomy interior with lots of storage; generous cargo capacity; quiet and comfy ride. * Stop By Today *Test drive this must-see, must-drive, must-own beauty today at Gloucester Toyota, 6357 George Washington Highway, Gloucester, VA 23061. KBB.com 5-Year Cost to Own Awards. This Toyota Corolla has a dependable Regular Unleaded I-4 1.8 L/110 engine powering this Automatic transmission. * Visit Us Today *For a must-own Toyota Corolla come see us at Gloucester Toyota, 6357 George Washington Highway, Gloucester, VA 23061. Just minutes away! Come see this 2014 Honda Civic Coupe Si before someone takes it home! 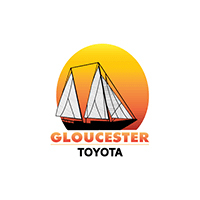 * Stop By Today *Test drive this must-see, must-drive, must-own beauty today at Gloucester Toyota, 6357 George Washington Highway, Gloucester, VA 23061.